A fence is a basically a structure that is used while enclosing some certain area. This might be a patio, a small green landscape inside the house, or a stable outside. 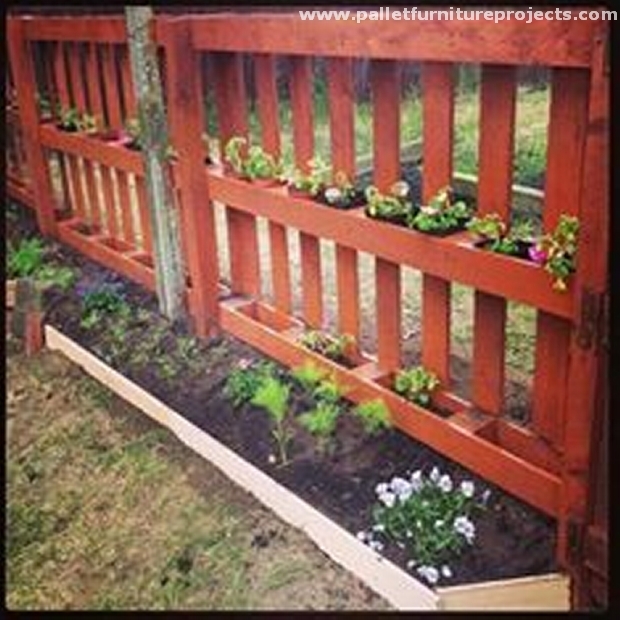 We use wooden boards, netting, rails and some other materials too while fencing. So this is just like drawing out a boundary line. Usually the wood is used in fencing, but the bad part is its price. As we know that the wood has sky high prices, and when you are using it in such a huge quantity then finances are a real headache. So just to treat this headache, we have wood pallet. 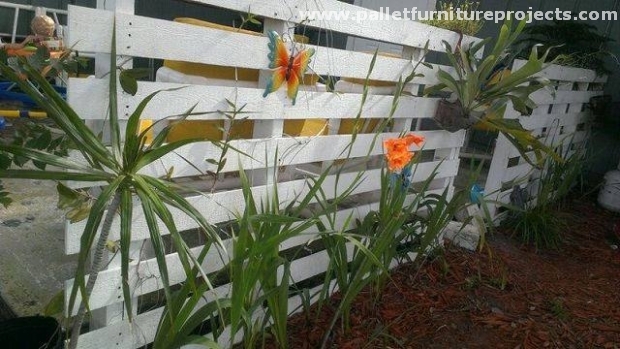 We are going to present some of the wood pallet fence ideas here in this article, like this first one. A huge enclosed area is specified for some outdoor activities, and the wooden fence is all made using the slim wood pallet planks. Since you have opted the wood pallet, then there’s simply nothing left to worry about. 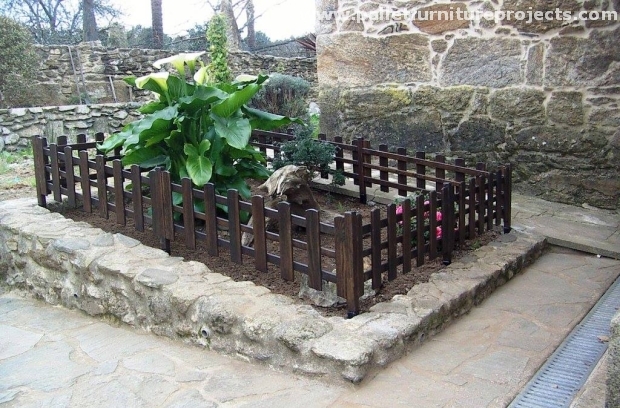 Like here we have used the rustic wooden pallet fence wall also as a garden décor idea. We have spared some built in boxes for the flowers as conventional planters. So this is worth giving a try. This is basically a small passage way to the green landscape made right inside a lavish house. 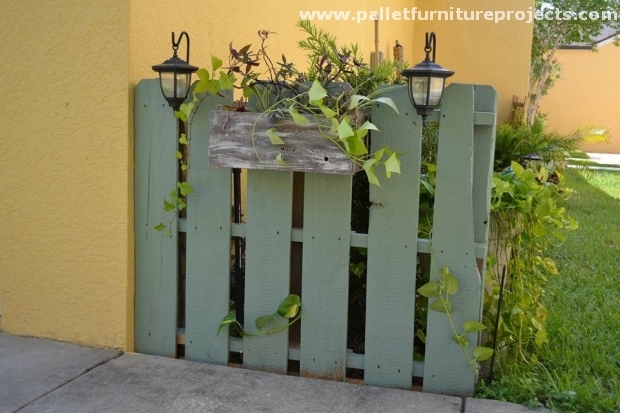 This passage way is restricted with a wood pallet fence, and some additional lighting installations are also placed on the wood pallet fence. Straight wooden planks, some of paint strokes, and nailing, you are all done. This time there’s something more exciting than ever before. 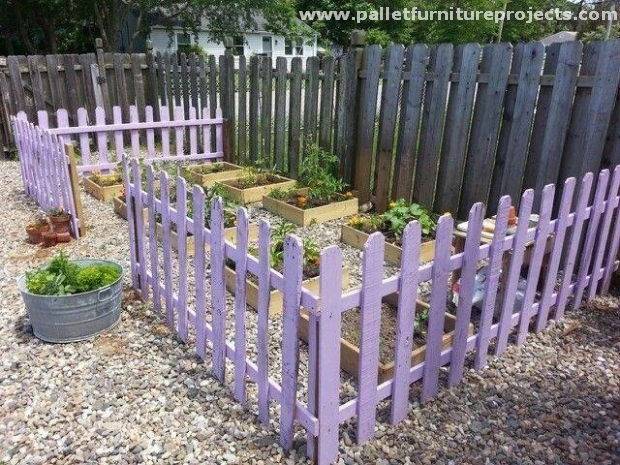 This awesome wood pallet fence is installed all along a small enclosed area for green landscape. This rocky and muddy area seems to be a part of some ancient villa or castle. So a better way to maintain its vintage look. 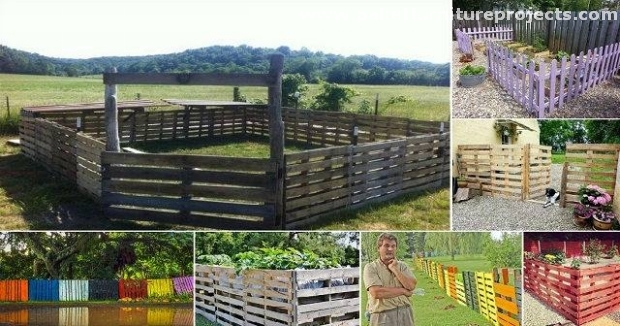 Now this one is basically a wood pallet fence, but its unique design makes it a multi purposed installation. Though we had repurposed it with the intention of making a mere fence, but then we though to make it multi purposed fence, so we created tiny built in spaces for planters. The transformation from market based wooden installations to the wood pallet installations has really given our finances a huge relief. 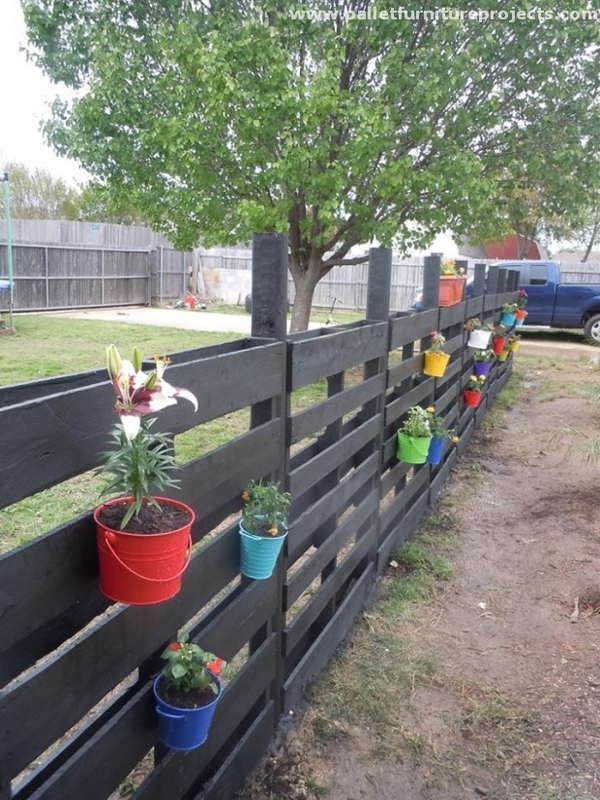 All of these wooden pallet fence ideas are so damn economical and also very classy. This one is simply the demonstration of decency and sophistication. 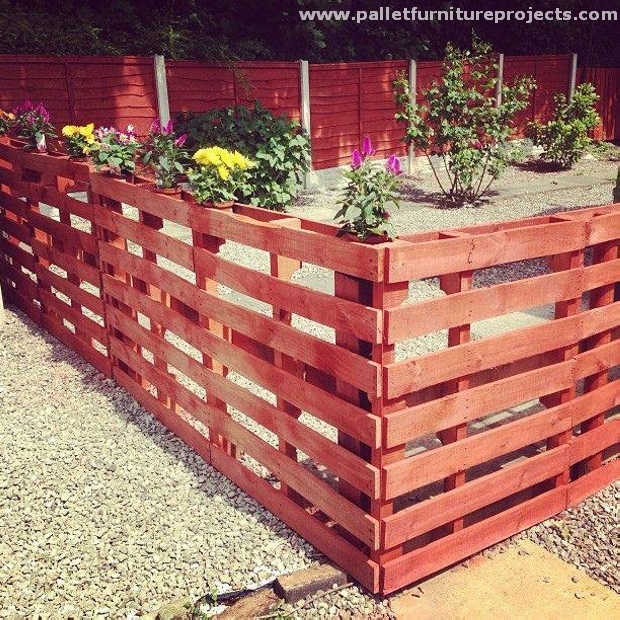 This one seems like a whole wood pallet creation land where everything seems to be the creation of pallets. 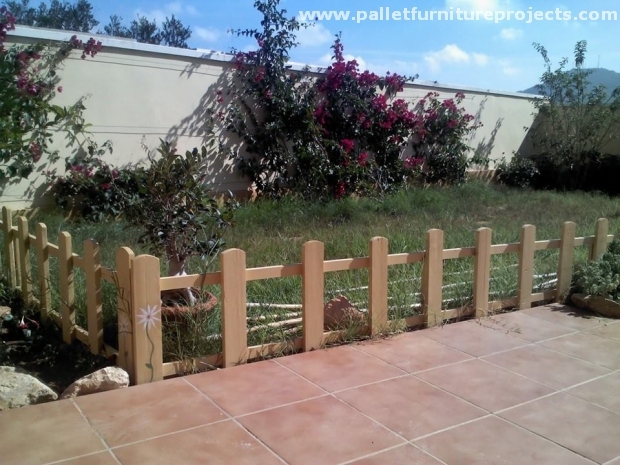 This small wood fencing and the large wood fencing beyond, all is done purely with the pallet wood planks. And some wooden planters inside are also another good use of shipping pallets. And this is probably the roughest wood pallet fencing we have witnessed so far. This enclosed area is specified as a graveyard. And just to separate from the living premises, we have separated it with wood pallet planks. 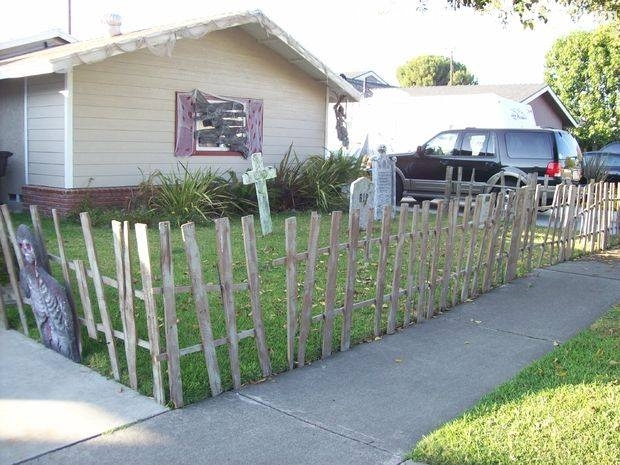 This fence is far cheaper than the one you would have got installed from the market.